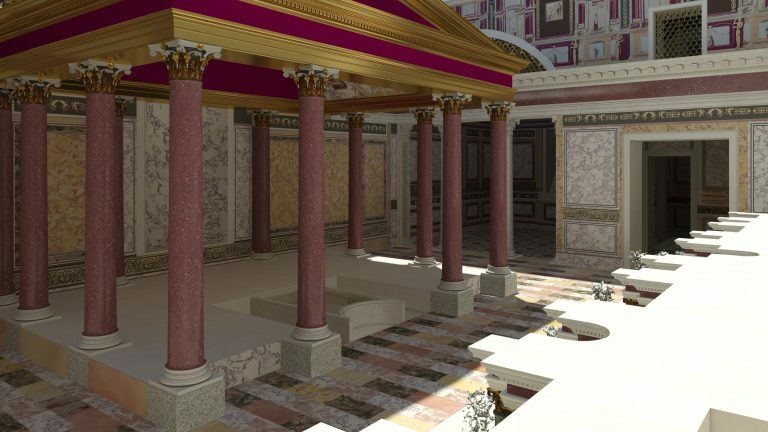 For the first time ever, Nero’s palace on the Palatine Hill has been opened to the public. The historian Suetonius describes the amount of work put into Nero’s private palace as nothing less than a scandal: first the Domus Transitoria, for when the emperor was in “transit” between the Palatine and the Esquiline, and then, after the fire of 64 AD, the Domus Aurea. Entry to the monument — available until maximum visitor capacity is reached, for conservational reasons — is included as part of the new Roman Forum-Palatine SUPER ticket at the cost of 16 euros, valid for one day. The Domus Transitoria will be open to visitors from Friday to Monday. The ticket includes entry to the Palatine Museum and the Neronian Cryptoporticus (other parts of the Neronian itinerary), to the houses of Augustus and Livia, to the Aula Isiaca with the Loggia Mattei, to the Temple of Romulus, to Santa Maria Antiqua with the Oratory of the Forty Martyrs and to Domitian’s Ramp. Tours last about 2.5 hours and are restricted to a maximum of 12 participants. The total cost is €16 (Roman Forum-Palatine SUPER ticket) + €5 (guided tour of the Domus Transitoria) + €10 (reduced fare entry to the Domus Aurea). To accompany the monument’s opening to the public, Electa has edited and published a book which examines the topography and architecture of the Domus Transitoria and the Domus Aurea, as well as their pictorial and marble decorations, and a report on the most recent restorations made to both sites.